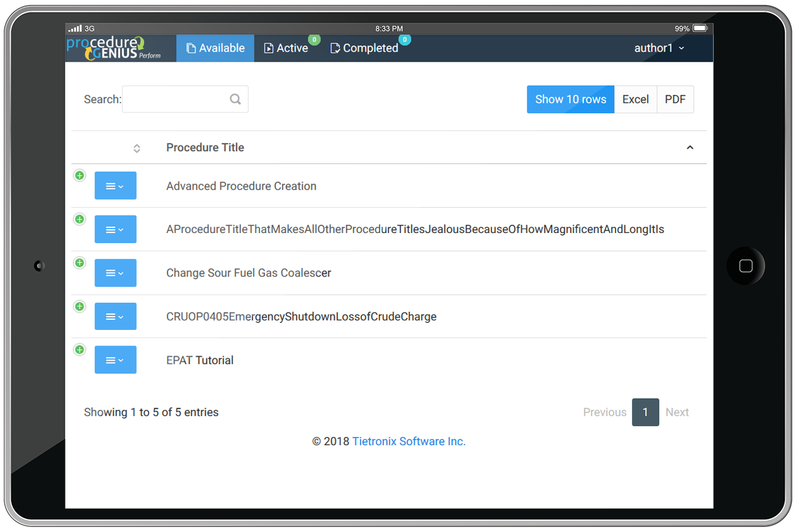 Procedure Genius is a set of web-based task management tools that build, guide, and track field ready automated procedures.Create tasks that guide the operator chronologically though a step-by-step automated process and capture real time data for verification. Operators can send text, pictures, and videos to supervisors so they can assist remotely with problems in the field. And they can do it all from any device – laptop, tablet, or smartphone. The management tools provide data via a dash board for planning and allocating resources to help increase employee output (volume, speed, and quality of work), and generates reports of who, what, when, where for verification and accountability.